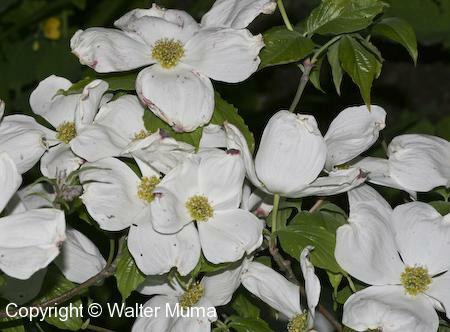 Distinctive features: Shrub; This dogwood is distinguished by its showy large white flowers that bloom in early spring. 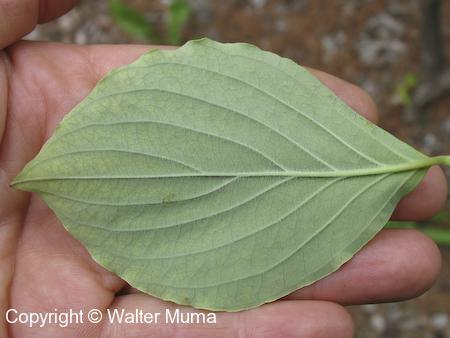  Round-leaved Dogwood (Cornus rugosa) - has obviously round leaves. 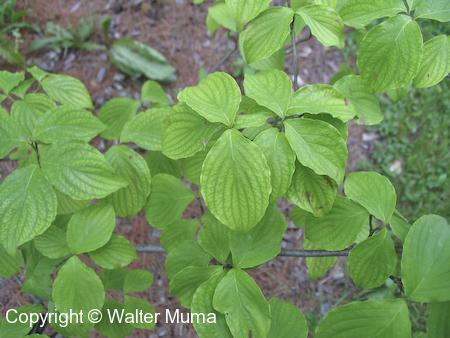  Silky Dogwood (Cornus obliqua) - grows in wetlands; has striped bark. 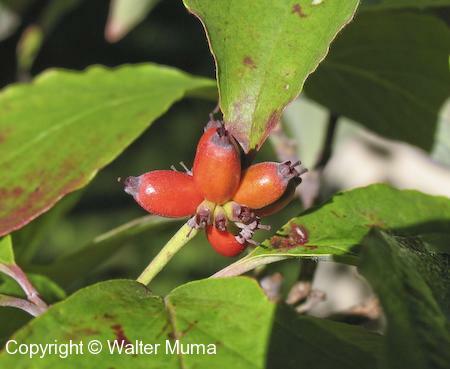  Red Osier Dogwood (Cornus stolonifera) - has reddish or greenish bark, grows in wetlands. Flowers: Spring; White; 4 parts (petals); Large. Status: Common, mostly in the more southerly parts of Ontario. 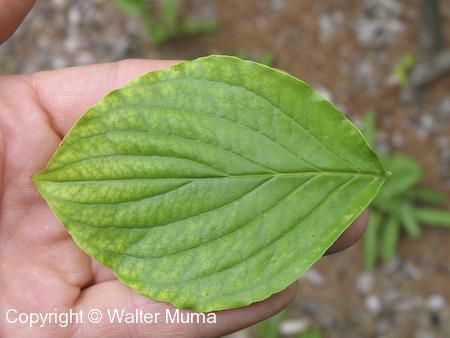 But Flowering Dogwoods are being decimated by a fungal disease, particularly in the NE USA. Photographs: 210 photographs available, of which 11 are featured on this page. SCROLL DOWN FOR PHOTOGRAPHS. 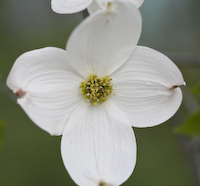 The actual flowers of Flowering Dogwood are in the center of this apparent flower, and are a small cluster of green flowers. Flowering Dogwood trunk, showing the bark. The trunk and bark also sometimes look like this. A nice scattering of Flowering Dogwood flowers in the spring woods.